Benedict’s main achievement is his “Rule”, containing precepts for his monks. It has a unique spirit of balance, moderation and reasonableness (ἐπιείκεια, epieikeia), and this persuaded most religious communities founded throughout the Middle Ages to adopt it. 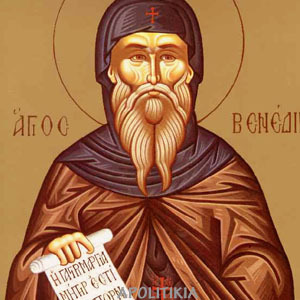 Benedict is often called the founder of western Christian monasticism.